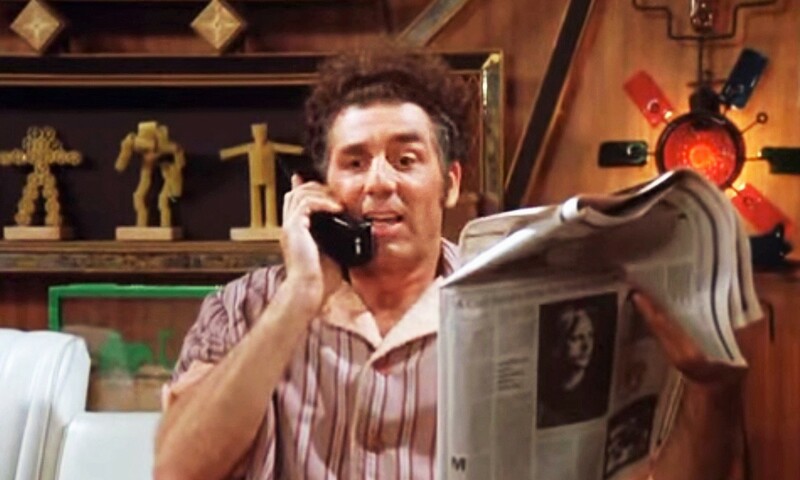 Kramer meant well, but impersonating a machine in order to make sense of and respond to information is hard work. Two decades after that episode was filmed, thanks to the internet and mobile devices, we have more information to make sense of and respond to than ever. There are “analytics” for everything, which means there are also “dashboards” full of charts, stats, and data visualizations for everything, too. 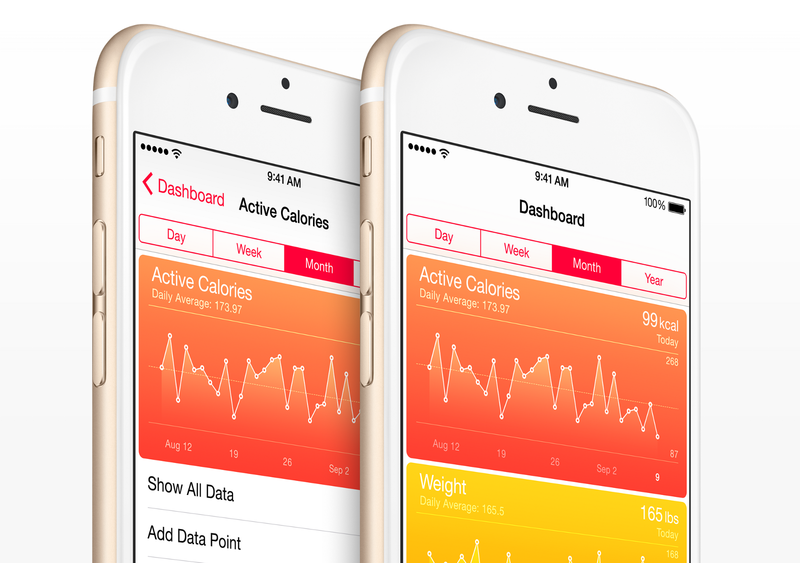 Apple, for instance, assumes that you really want a dashboard for tracking your personal health. It looks great. It looks like data should look: dense, accurate, and futuristic. 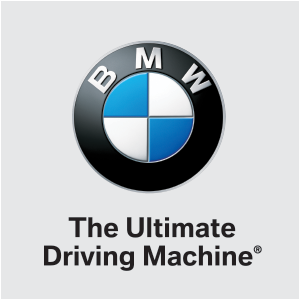 So why do I feel like I need to impersonate a machine in order to actually make any sense of it? Why doesn’t it just tell me what I need to know, in words, so I don’t feel like Kramer pretending to be the Moviefone guy? 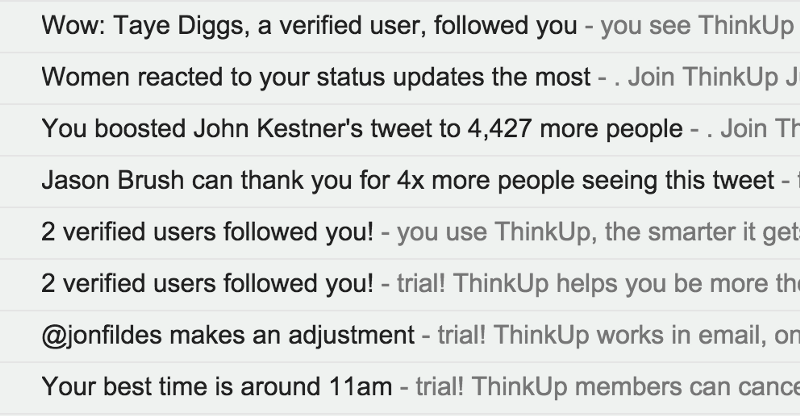 Dash’s social-media analytics startup, ThinkUp (co-founded by Gina Trapani), practices what he preaches. It digests the activity on a user’s Twitter or Facebook feed and reports any salient changes in short written messages. This is what ThinkUp’s analytics look like. You don’t even have to open the emails to get the gist. If dashboards treat you like a CIA analyst, ThinkUp’s feed treats you more like the president: a very important, very busy person who just wants the bottom line. Dash has implied that most dashboards are in the business of flattering their users more than informing them — “they demo well and look great in investor pitch decks…But they don’t actually help me make decisions,” he writes — but the user experience created by ThinkUp’s “data verbalization” approach is undeniably flattering too, in its own way. Words are personal. It’s no surprise that apps which “intelligently” filter and integrate data to fit a user’s specific perspective in time and space — like Dark Sky, which delivers curt “hyperlocal” rain forecasts, or Google Now, which can tell you how long your evening commute will take before you think to ask — often privilege text in their user interfaces. Datasets with an abundance of “pre-existing insights” lend themselves to verbalization, says Dino Citraro, co-founder of Periscopic, a data visualization firm based in Portland, OR. Pre-existing insights are simply meaningful declarative statements (or combinations of them) that are extant in the data: for example, a message from Dark Sky saying “rain for the next ten minutes”; or an update from ThinkUp reporting “@ev tweeted 15 links to Medium.com this month, more than to any other site.” “If your data has a high amount of pre-existing insights, then you can create a very structured narrative experience for it,” Citraro explains. Ineffective dashboards or visualizations don’t lack for insights; instead, they fall short on “structured narrative experience.” They fail at directly describing the context that would make their pre-existing insights meaningful. They show, but don’t tell. 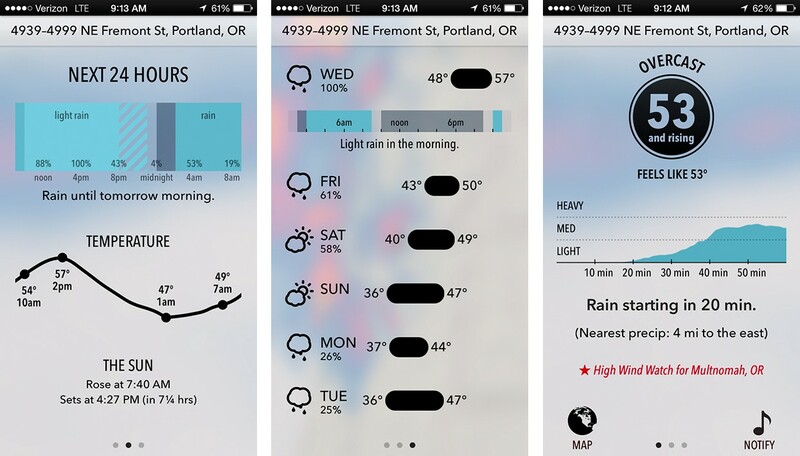 Dark Sky uses some graphs, but prioritizes plain English.